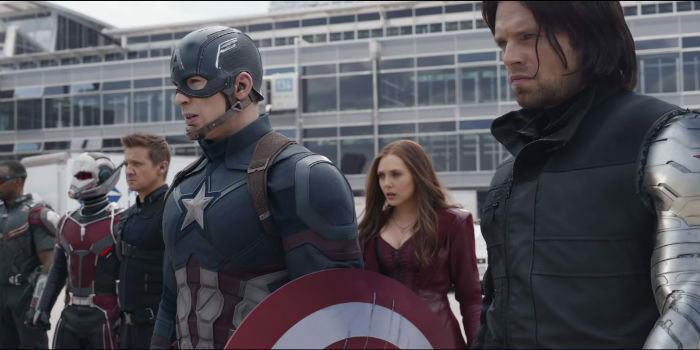 The beginning of the summer movie season kicks off this weekend with the highly-anticipated third installment of the Captain America series hitting theaters nationwide. After a few rough weeks at the box office where nearly everything not named The Jungle Book (movies like The Huntsman: Winter’s War and Mother’s Day) failed to click with viewers, medications the new month offers a few movies that offer great potential for runaway success. With that in mind, more about we’re offering our movie preview: May 2016 edition. 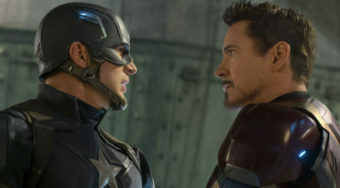 Captain America: Civil War (May 6th): This new Marvel feature showcases the growing tension between Iron Man (who wants more government oversight of their work) and Captain America. Directed by the Russo brothers (who were responsible for the epic Captain America: Winter Soldier), the newest installment is already receiving rave reviews. Adding excitement to this seuqle is the fact that Ant Man will be joining the battle and so will Spider-Man as Tom Holland makes his debut as the web-slinger. Check out the trailer below. Money Monster (May 13th): Directed by two-time Oscar winner Jodie Foster, this thriller focuses on a financial guru on television who is held hostage by a young man who has lost all of his investments. The hostage situation is televised and the world watches while the guru and his tough producer try to resolve the crisis and provide the kidnapper with answers about his plight. With George Clooney starring as the charismatic financial guide and Julia Roberts starring as the producer, this film could bring in adult audiences who are intrigued by the great concept. Jack O’Connell, who has proven himself in movies like Unbroken, stars as the disenfranchised center of this intense story. Check out the trailer below. The Lobster (May 13th): “As you understand from your brother’s experience, if you fail to fall in love with someone during your stay here, you’ll turn into an animal.” Such is the plot of this new comedy, which features Colin Farrell in the lead role. Farrell’s character only has a few weeks to find love or he’ll turn into an animal (his preference: a lobster). It looks like director Yorgos Lanthimos (who co-wrote the screenplay with Efthymis Filippou) may have crafted one of the most unique films of the year. Check out the trailer below to see for yourself. Last Days in the Desert (May 13th): In 2016, we’ve already seen a variety of films tackle the subject of faith and religion. We’re also witnessed two movies– The Young Messiah and Risen— which constructed fictional stories that were inspired by Biblical ones. Last Days in the Desert seems to be taking a similar path with Ewan McGregor starring as Jesus in a story about Jesus’ forty days of solitude in the desert. 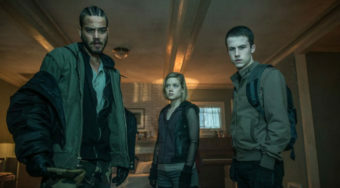 Co-starring Ciarán Hinds and Tye Sheridan, the trailer makes it look like this could be a darker film about Jesus’ temptations as he faced the end of this forty-day period. Check out the trailer below. Search Party (May 13th): On the sitcom Silicon Valley, Thomas Middleditch usually plays the straight man who lives with the out-of-control character played by T.J. Miller. This new cinematic comedy looks to follow that same comedic set-up with Middleditch playing a straight-laced groom, who seemingly follows the advice of his outlandish friend (Miller) only to end up suffering the comedic consequences. Co-starring Adam Pally, the film looks like a funny road trip movie with the three guys trying to make their way out of Mexico alive. Check out the trailer below. Neighbors 2: Sorority Rising (May 20th): In this sequel to the 2014 original, married couple Mac (Seth Rogen) and Kelly Radner (Rose Byrne) are faced with a new and obnoxious neighbor. Instead of a fraternity causing them headaches though, it’s a sorority this time– led by the wild Shelby (Chloe Grace Moretz). Zac Efron returns for this new comedy but this time, he’s teaming up with his nemeses from the original to stop the sorority. One hopes that this comedy can live up to the hilarious original. Check out the trailer below. The Nice Guys (May 20th): The scene is Los Angeles in 1977. The players are two investigators who are trying to solve the mystery of a missing woman. Oscar winner Russell Crowe stars in this action comedy opposite Ryan Gosling. Directed and co-written by Shane Black, who previously directed and co-wrote Iron Man 3, this romp promises to be a lot of fun and it looks like it will feature some great outfits as well. Check out the trailer below. Weiner (May 20th): Despite years as a Democratic Congressman, Anthony Weiner is known in many quarters for one thing: sexually explicit photos he posted on his Twitter account. This new documentary explores Weiner’s bid to become the next mayor of New York City a few years after his resignation from Congress. Forced to grapple with his scandalous past while trying to move on with his political career, the film could be an interesting look at the long fall of a politician who was once thought to be a future leader of the Democratic Party. Check out the trailer below..
X-Men Apocalypse (May 27th): “I’ve never felt power like this before,” Professor X (James McAvoy) states about the new villain in the trailer for the latest X-Men film. Two years after the tremendous X-Men: Days of Future Past hit theaters, this new installment (scheduled to be the last in this trilogy) pits the X-Men against Apocalypse, the world’s first mutant. The new installment features returning players Jennifer Lawrence, Michael Fassbender and McAvoy alongside newcomers like Oscar Isaac, Sophie Turner and Tye Sheridan. Check out the action-packed trailer below. May 27th: Alice through the Looking Glass: The 2010 comedy Alice in Wonderland grossed more than one billion dollars internationally. With that in mind, it’s no wonder that Disney has built on this franchise with this sequel. Once again, Alice is played by Mia Wasikowska and some of the colorful background characters include the Mad Hatter (Johnny Depp) and the Red Queen (Helena Bonham Carter). Also, in one of his last film roles, Alan Rickman once again voices the blue caterpillar. Check out the trailer below. May promises to be an exciting month for moviegoers and if these trailers are any indication, some of these movies could be a lot of fun. Make sure you mark your calender for these 10 May 2016 movies.